“How very,” indeed! 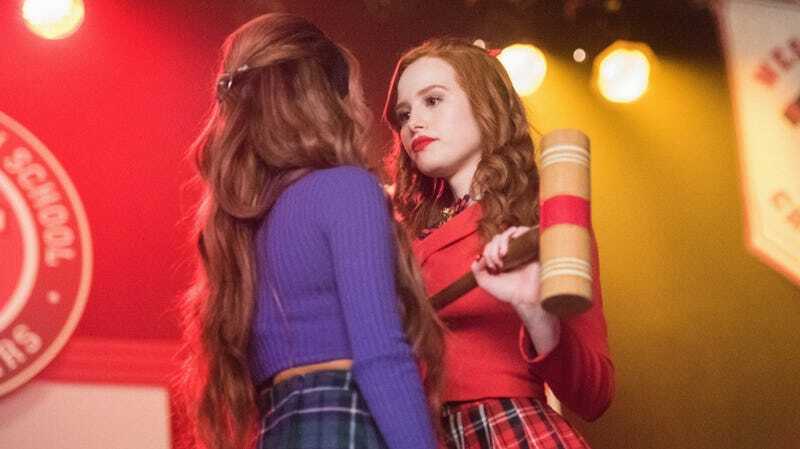 For this season’s big musical episode, “Big Fun,” Riverdale pulls out all the stops with a tribute to Heathers: The Musical. This is the show at its campiest and its most emotionally raw, and Dial M For Maple cannot get enough. Hosts Marah and Cameron kick off the podcast by discussing their favorite moment—it’s “Seventeen,” in a landslide—and proceed to explain why they think the musical genre suits the show better than any other. Plus, Cameron argues that Cole Sprouse is the Ewan McGregor of the episode, and Marah wonders if Evelyn Evernever is “pulling a Never Been Kissed” on Riverdale High.